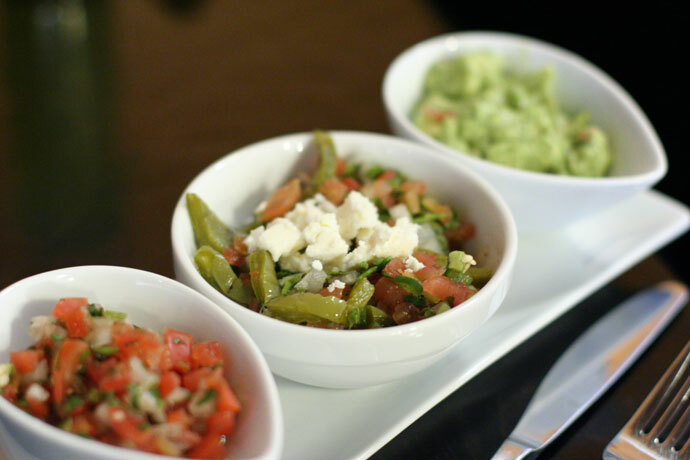 Tequila Kitchen (web site, 1043 Mainland St. Vancouver, BC, Canada, phone: 604-681-2120) is a new restaurant in the Yaletown neighborhood of downtown Vancouver, offering authentic and fresh Mexican cuisine in a simple and almost austere atmosphere. The minimalistic decor evokes some great restaurants and hotels I experienced while visiting the Yucatan Peninsula in Mexico, which catered mainly to Mexicans on vacation rather than American tourists. 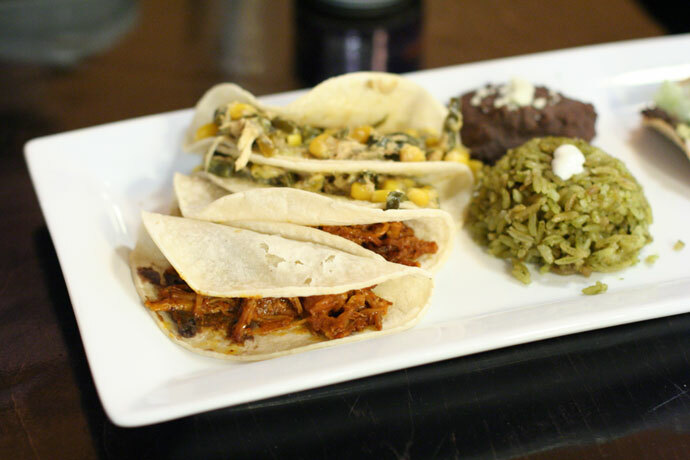 Susan Hollis writes, “Tequila Kitchen encourages diners to taste the soul food of Mexico”, and I agree – the fresh guocamole, home-made salsa, and corn tortillas stuffed with scrumptious goodness brought me back to the streets of the towns I visited in Mexico. CityFood Magazine has some photos and reveals that owner Laura Enriquez spent over twenty years running successful restaurants in Playa Del Carmen. 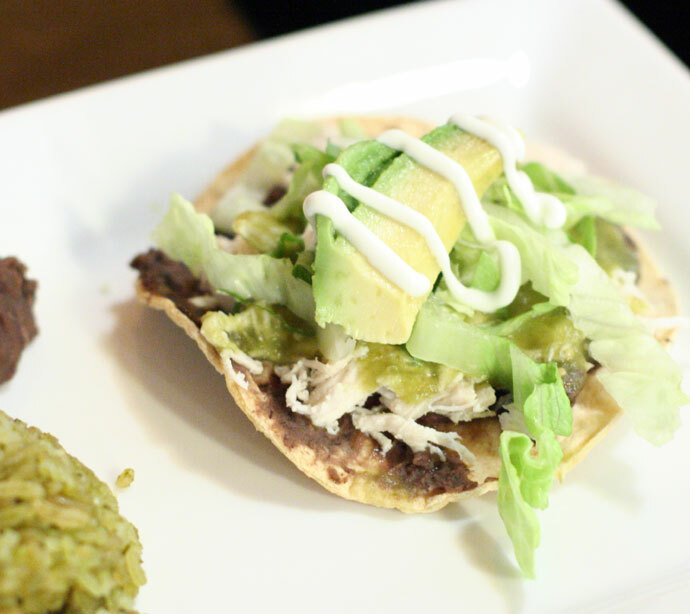 Pictured below are items from Tequila Kitchen’s signature Lunch Platter ($13) which is an affordable way to try a variety of tasty temptations, including: guacamole, salsa, 1 Tostada de Pollo (shredded chicken on an oven baked tortilla topped with lettuce, avocado, green salsa, onion cream and cheese), 2 Tacos de Cochinita (pulled pork slowly cooked in juicy annatto sauce in soft corn tortillas with marinated red onions), 2 Tacos de Rajas (Poblano rajas, sauted chicken and onions with cheese in a creamy sauce served in soft corn tortillas), rice, beans & salad. Visit the restaurant’s web site for their current dinner menu. We hope you enjoy the great Soul Food restaurants on Dine Out Here Vancouver.